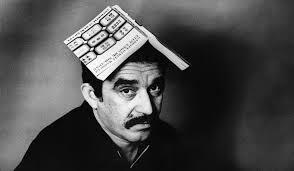 Many you may be familiar with Gabriel Garcia Marquez and his work. He is a Nobel laureate in literature and one of the most influential and preeminent writers of Magical Realism. He is the author of the novel “One Hundred Years of Solitude” and a number of short stories, including “A Very Old Man with Enormous Wings” . Odds are you’ve read some of his work, if not on your own, then for an assignment in a previous English course. Magical realism is type of fiction writing in which a very real world is colored with elements of fantasy and magic. The narrator of the story makes no discrepancy between the elements of the story that are familiar to us and those that are strange, and fantastical events are presented in a realistic tone. In a majority of Marquez’s work, reality is a central theme and the reality of his writing is what carries the theme of his stories. “Light is Like Water” is a story of two brothers who, as a reward for their performance in school, get a rowboat. They then break open the light fixtures in their home and let light flood their home like water and sail the light. One night, the children flood their house with so much light that they drowned their classmates. This story is a great example of how seamlessly Marquez brings toward our world and the world that children imagine. The fantastical events that comprise this story are obviously abnormal and unbelievable, but they are not for children. The reason these children are sailing on a sea of light is because the narrator has told them that “Light is like water. You turn the tap on and out it comes.” The boys have taken a literary interpretation of the narrator’s analogy. This story was uncomfortable to read the first time because of the dissonance between how realistically all the events of the story were described and my intuition. After the third read-through, I became a little more grounded and could interpret the story. I’m interested in hearing your opinions and thoughts on this story, and how you felt as your tried to pick apart this world.